The freelancing life can sometimes be a lonely one. If you’re working from a home office or moving around client sites it’s an autonomous way of life which does command you to be the one to motivate yourself. Not being surrounded by a team or even a passing pat on the back; you can have days when it’s hard to keep driving forward. However don’t dismay, below we have put together a few chunks of advice to help you along the way. great, but solitude can be a factor and having the ability to ‘switch off’ from work can be harder. With freelancing and self employment on the increase in the UK, there are lots of attractive options available for a freelancer in the wild. If you freelance within web design or development, you will find lots of web agencies offer out ‘hot desking’ opportunities to local freelancers. You simply rent out desk space, normally on a monthly basis and come and go as you please. You get to work within a creative environment and work around like minded people. The biggest advantage you will get apart from getting cool space to work in will be the possibility of new work heading your way. It’s pretty normal for someone hot desking to gain referral work from the company they are hot desking from, many advantages to be had, you can normally rent out a hot desk for under £100 per month. 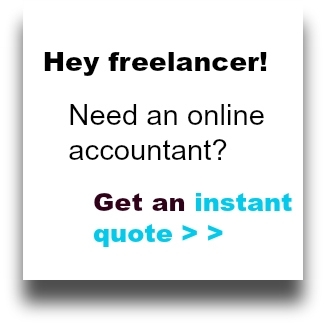 Freelancing brings flexibility, one of the attractions for many. However, the biggest mistake some make is not putting some kind of structure into the day. By not having something to work around can often lead to work stacking up and missed opportunities, which in-turn can be demotivating. Create small points in the day to hang your work upon. For example, at 10am I will work through my emails and clear my inbox, no matter what. It can be a very simple thing to implement, however it is an extremely effective way of working, keeping you inline and not making things too fluid. Once you have a structure to your working day, keep it, work around it and most all use it to your benefit. When freelancing it’s easy to grow blinkers and slip into ‘freelancer mode’, which involves constant work and no play. Downtime is critical to any successful freelancer, you only have to look at some of the most successful companies to see how it motivates people. Google have a slide in their HQ, dropping down many floors! Achieving something deserves reward, that is still the case when you’re a freelancer. If you complete a project, reward yourself. If you win a new client or if you get on top of all your outstanding work, reward yourself.